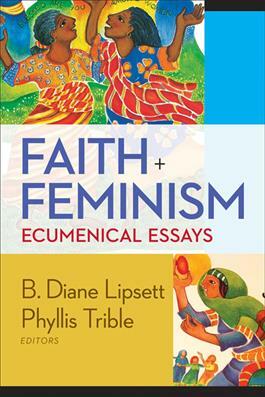 Faith and Feminism brings together leading voices in biblical studies, inter-religious encounters, theology and ethics. Originally delivered as part of the Phyllis Trible Lecture Series at Wake Forest University School of Divinity (2003- 2013), these essays demonstrate the breadth of feminist interpretation on compelling topics: interpretation of sacred texts; Judeo-Christian and Islamic perspectives; gender and sexuality; race and cultural identity; and ecology and religion. An international group of writers, both established scholars and new voices, contribute. Readers can explore the impact of feminisms on faiths and faiths on feminisms. "This volume, edited by two scholars known for their close reading and graceful writing about religious texts, comes at an important time: when people of faith committed to the full humanity of all wo/men, but separated both by different religious traditions and by the distance between our countries and continents, need resources for igniting conversations with each other. Though it includes important work by senior scholars in Christian feminist and womanist theological circles, the contributions of the emerging scholars in these pages will do at least as much to move these conversations forward. Feminists who situate themselves within Christian communities will do well to study long and hard the contributions from Muslim feminist scholars featured here. North American readers will learn much from those who offer their contributions from the other continents. Let the conversations, contentions and disclosure go forward." "This book offers a stunning new horizon for insights, through feminist lenses, into the meanings of religious faith and the liberating appeal of genuine moral imperatives. Scholarly and practical doors are opened by the interdisciplinary, cross-cultural, ecumenical, and interfaith conversations that are advanced by these essays. The volume as a whole is elegant and reader-friendly. It will transform the minds and hearts of those, both women and men, who enter into its riches."